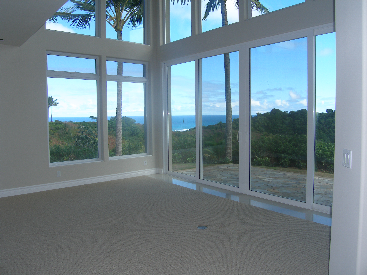 Ka’iulani of Princeville is a luxury condominium development of 77 attached homes located on Queen Emma’s Bluff in Princeville, Kauai, Hawaii. 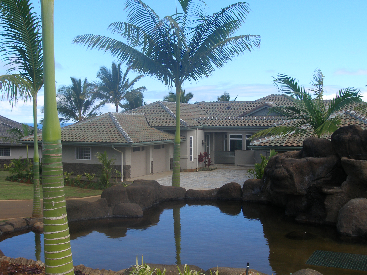 It is the newest and most prestigious community that Princeville has to offer. 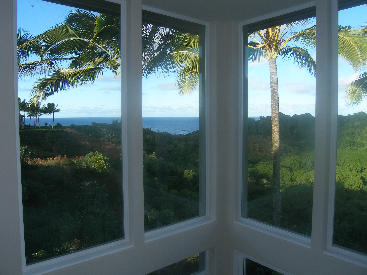 Ka’iulani #18 is set back from the other townhomes to offer you added privacy. A water feature is located at the entrance to the long driveway. This exceptional home offers 2864 livable square feet, plus a fabulous lanai, and a two car garage. Air conditioning throughout. You will enjoy incredible white water views of Anini Beach (which is just a minutes from Princeville on Kauai’s North Shore). Add to that the beautiful blue Pacific Ocean and lush green valley views that look across to the world-famous Prince Golf Course and Clubhouse and beyond to the majestic mountains. There are a total of three bedrooms (two are master suites) and three and one half bathrooms. Soaring ceilings in the main living area, upscale details and finishes throughout and a two-story family room that opens to a very private lanai. The two car garage includes an upper storage area with access by a fold down ladder. A gourmet cook will love the Sub-zero stainless steel refrigerator and Wolf stainless steel Ovens, Fisher Paykell dishwasher and Wolf wine cooler. 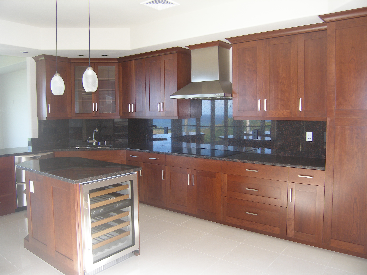 Slab granite countertops and custom Aristocratic cabinets provide for elegant living. 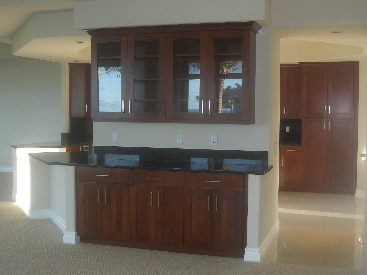 The dining room has built-in cabinets and a granite counter buffet. The laundry room includes a Maytag Neptune Super Stacker washer/dryer. 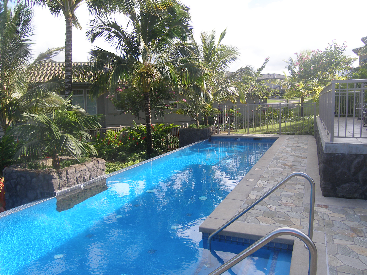 The amenities are the best that Princeville, Kauai, Hawaii has to offer: Three heated pools, spa, barbeque area, a lighted walking path and a resident manager.